Organic and fair trade dark chocolate (cocoa paste, cocoa butter, vegan sugar, soy lecithin, vanilla), organic vegan fair trade evaporated cane juice sugar, organic coconut milk, organic coconut butter, cream of tartar, organic thyme, organic lemon, housemade organic vanilla, sea salt. Our Rosemary Sea Salt Caramels are our best-selling product, so when I started thinking about the May 2011 chocolate of the month, I had a selfish goal: to give our customers another sea salt caramel on those days when we can’t keep up with the demand for the beloved RSSCs. 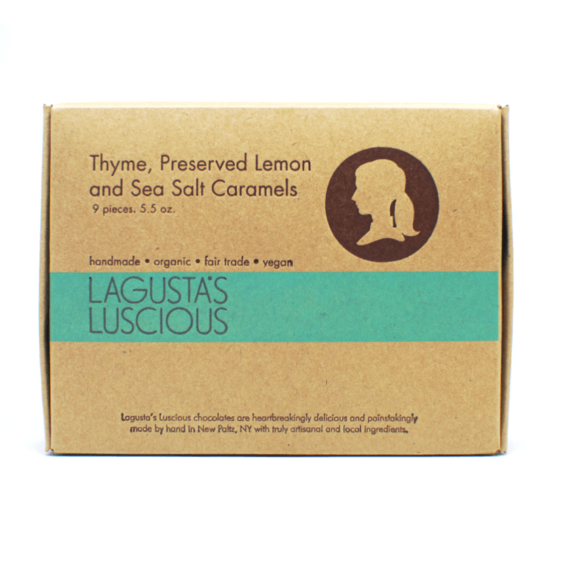 I tinkered around with gorgeous lemon-infused sea salt crystals, and pulled out some homemade salt-preserved lemons I’d made a few weeks before with organic Meyer lemons—time and sea salt had softened the lemon peel to a delicious melty consistency that matched the caramel perfectly. For the final touch, I went to the garden outside and looked around: thyme was already popping up, so I added that to the mix too. 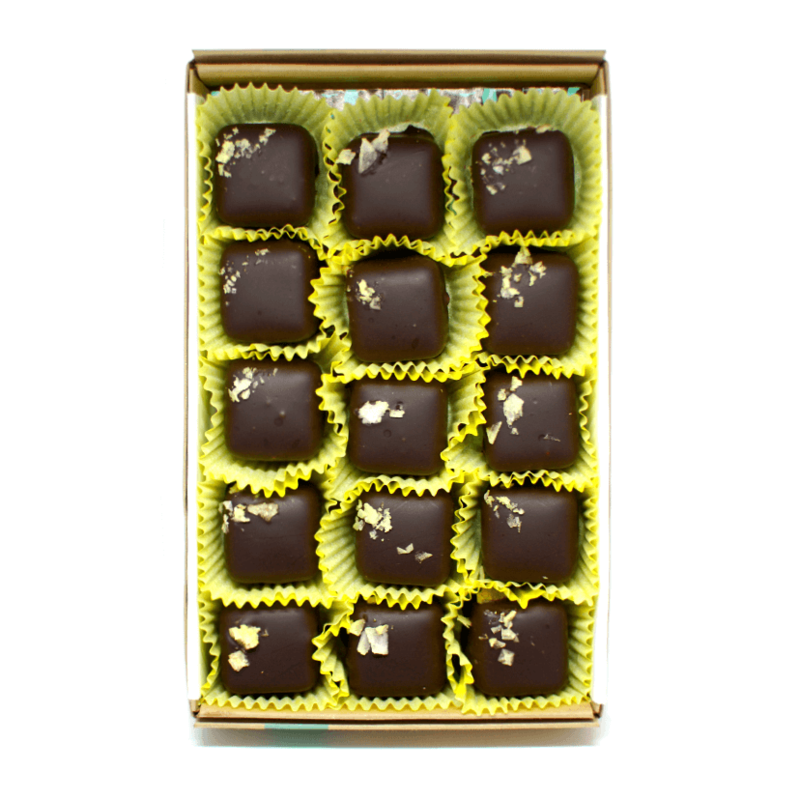 The resulting caramel is a panoply of unfolding flavors on the tongue—fresh lemon at the beginning, then a nice burst of herb flavor from the thyme, and a long finish of that amazing combination of sea salt and ultra-creamy caramel. 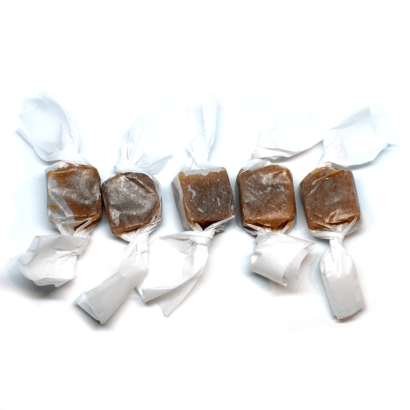 It’s important to eat caramels at room temperature, for the best flavor and texture. 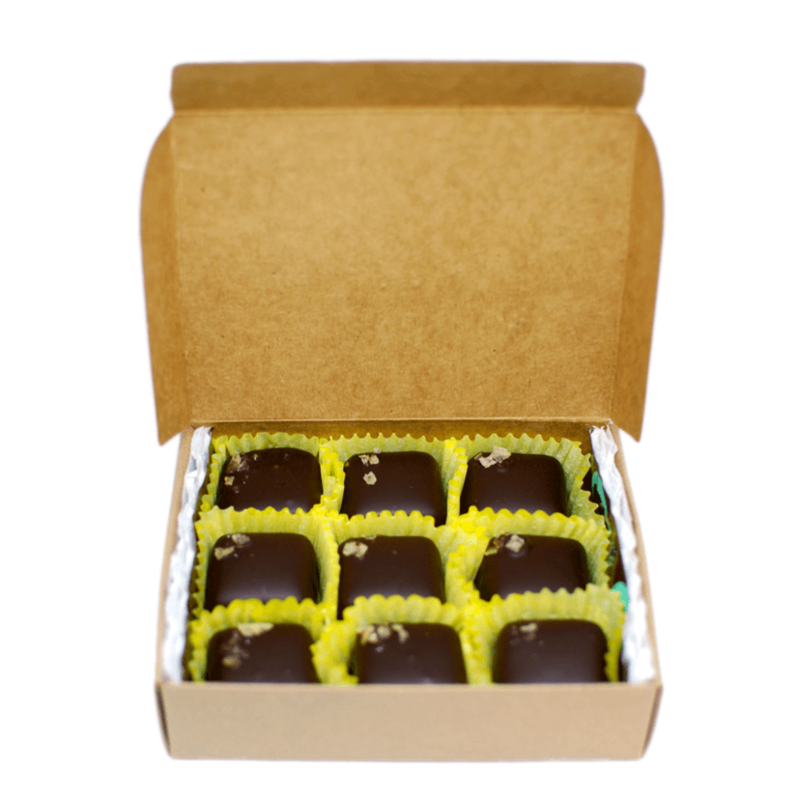 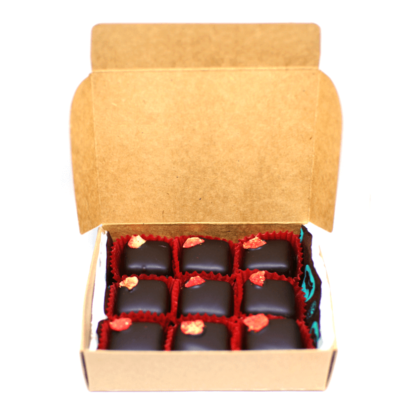 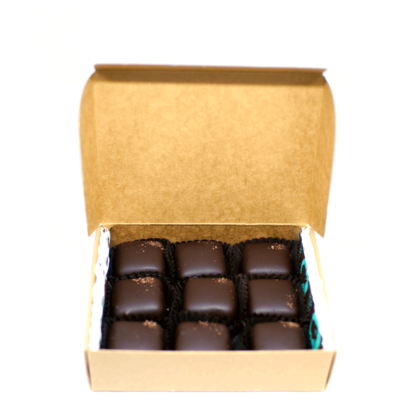 Caramels will keep one month in a sealed container at cool room temperature.